Following the African flower idea, I made two more flowers like this. I used some soft acrylic I call 'mango' which is really nice to crochet with. 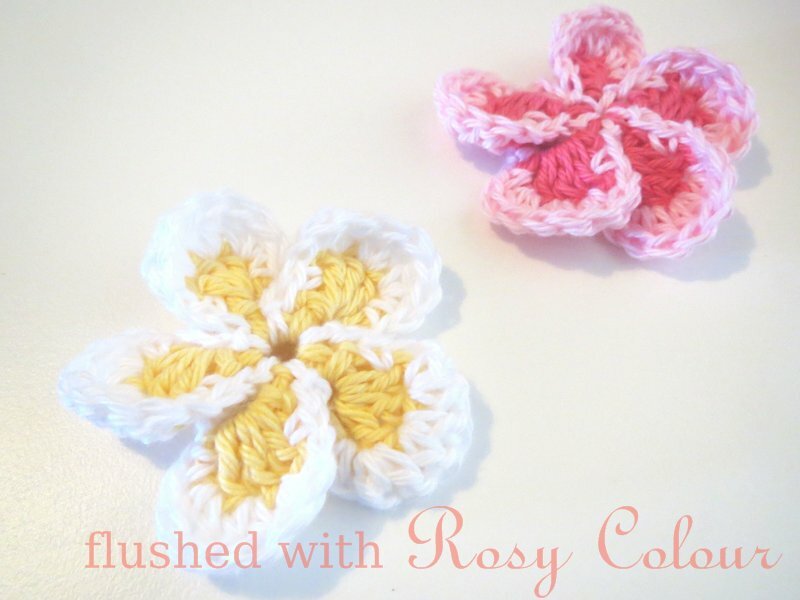 Using a 3.5mm hook, I was thinking this flower would go with my mango hat. With winter coming up, this is one of the many things on my to do list! But when I made the white centre with orange edge flower, I wasn't sure it looked so nice, so I made another flower in reverse colours. I'm not sure either of these flowers look right on my mango beanie, so I'm not sure what they'll get used for. I'm sure to think of something!